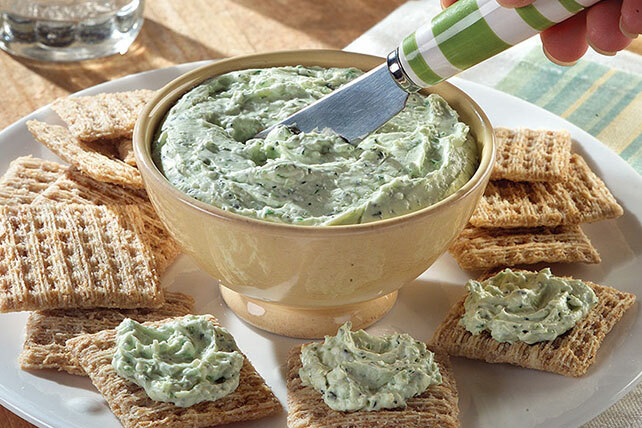 Cream cheese, Gorgonzola, green onions and mint are blended in a food processor for a distinctive spread to serve with bread, bagels or crackers. Place all ingredients in food processor container fitted with steel blade; cover. Process until blended but not smooth. Serve with crusty French bread, bagels or woven wheat crackers. Prepare as directed. Cover and refrigerate up to 2 days. Use as a sandwich spread with bread slices.